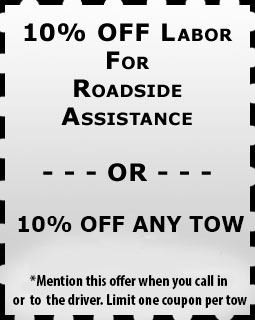 Are you looking for a towing company in Raleigh that can provide cheap towing and road side assistance? Don’t worry; you are in the right place. Our company offers one of the most reliable and efficient road side assistance and towing services. Based on 23 years of experience in providing these services, you can trust us to provide with cost-effective road side assistance services at any time. Don’t let the little mishaps on the road create inconveniences to you while you can get the best of towing services from our company. What makes our tow truck company stand out from the rest? We are fully licensed, bonded and insured: our towing company is fully certified; bonded and licensed hence you can be confident that your vehicle will be handled with utmost care in incase you are stuck on the road. We are strategically located within town: We have 5 key valley locations strategically placed throughout the city to ensure our customers get fast ETA. Experience: Our many years of experience in the towing business assure you of quick response once you call us to provide you with roadside assistance services. How you get instant access to our services? Our site is user-friendly and it provides you with all the information you need on the towing and roadside assistance services offered by our towing company. You can find details on how you can contact us via phone. Since there are a variety of our offices spread throughout the city, we provide quick response to your call as soon as we receive it from the location you are. Just in case your car breaks down in town or the surrounding areas, you can count on us to provide you with fast, reliable and efficient towing service and road assistance services. Based on our outstanding customer service, professional drivers and our quality trucks you can rely on us to offer high quality towing service, flatbed tow or any roadside service. Call our towing company today for fast, reliable and cost effective towing and roadside services.